It was love at first sight when Jonathan Calvert saw the Matterhorn in 1953. Something in the way the mountain held sway over him inspired a lifelong passion for natural beauty and adventure. Over the next fifty years, Calvert climbed, hiked, trekked, sailed, kayaked, and dog-sledded in wild places across the globe, following his urge to know. And he hasn't quit yet. In July 2014, he will spend a month in Central Asia traveling the Silk Road through the Pamirs and Tian Shan mountains. In 2015 Calvert returns to the Antarctic in a sailboat to kayak and camp. This book is a record of his adventures, told through memoir, journals, and photographs. Calvert has devoted his life to exploring the world and himself, and he has never gotten to the bottom of the wellspring that is curiosity. Calvert has walked in the footsteps of early explorers, camped above the clouds, come face-to-tusk with a walrus, and, within yards of a summit, talked down the inner voice that cajoled him to quit. He has stumbled into crevasses, kayaked in quiet waters above whales, suffered altitude sickness, and called his family via radio and cell phone relay from a precipitous ledge to say, "I made it." 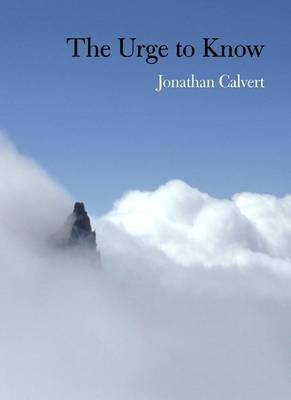 Discovering early in life that striking out by himself got the job done best, Calvert is no stranger to singular travels and travails. Yes, he adventures with comrades-roped in as a team, paddling together, or taking his turn at the ship's helm-but ultimately the journey is one's own. Throughout his life, Calvert has jumped at chance after chance, among them: climbing Alaska's Mount McKinley, Argentina's Aconcagua, and mountains in Switzerland, France, Tanzania, and Nepal; trekking in Tibet, Bhutan, England, and Pakistan; and kayaking the coast of Greenland and the Zhupanova River in the Kamchatka Peninsula. Where's that? Explore these pages, and then you will know.